1What is ROOTBLAST® Growth Formula? A non-hazardous fertilizer, chemical free, hormone free, all natural earth elements…Micronutrient Charge! 2What is the product's Composition / What does it contain? It contains 2% nitrogen, 1% phosphate, 2% soluble potash and a proprietary formulation of over a DOZEN major and minor micronutrients. NOTE: The range between beneficial and harmful amounts of trace elements is very narrow. Do not mix ROOTBLAST® with other fertilizers or amended soils or mixes. 3Can ROOTBLAST® be used on all plants? Yes, ROOTBLAST® can be used on all flowers (annuals, perennials) vegetables, shrubs houseplants and trees… Indoors and Outdoors! 4How do you apply ROOTBLAST®? 5Do I mix ROOTBLAST® with water? NO, ROOTBLAST® does not require any mixing with water. It’s simple to use, just sprinkle 1 teaspoon per plant into soil. 6How often do you apply ROOTBLAST®? 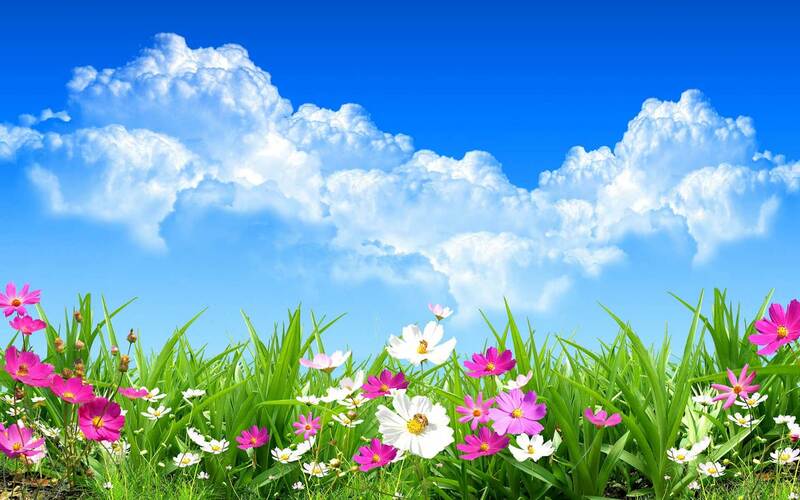 Use ONCE per season to seedlings, annual bedding plants, perennials, shrubs and trees; especially when transplanting. 7Can I apply ROOTBLAST® more often? Yes, It will not hurt your plants if applied more often. You may apply it in the Spring, Summer and again in the Fall if desired. Wait at least two weeks before applying any other fertilizer. 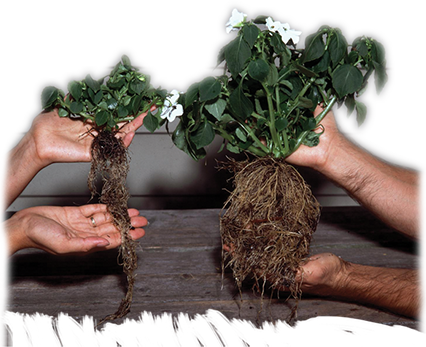 8Can ROOTBLAST® harm plants and flowers? No, not when used as directed. However, do not mix ROOTBLAST® with other chemicals, fertilizers, soil amendments or enhanced soil-less mixes or potting soils. 9Is ROOTBLAST® safe for my pet(s)? 10Can I use another fertilizer with ROOTBLAST®? Yes, You need to feed your large root system. Apply additional fertilizer two weeks after applying ROOTBLAST® then fertilize as you would normally. Especially, potted plants that run out of nutrients faster than plants in ground. 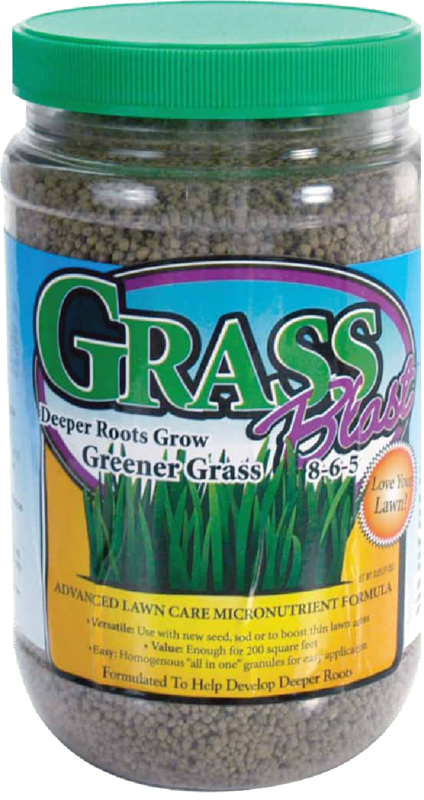 1What is GRASSBLAST Lawn Formula? A non-hazardous fertilizer, that is environmentally safe, hormone free with added organic elements for a slow release. 2What is GRASSBLAST’s composition / What does it contain? The N-P-K is 8-6-5 with added organics; feathermeal and bonemeal along with many trace elements for the best of both organic and inorganic fertilizer mix. Quick precise release for fast root & plant development with slow release elements for extended feeding. 3How do you apply GRASSBLAST®? Sprinkle one teaspoon per one square foot or 3 Tablespoons per one square yard. Or use spreader setting #4 when broadcasting larger area of lawn. If broadcasting apply one pound to 100 to 115 square feet of lawn. 4How often do you apply GRASSBLAST®? GRASSBLAST is best applied mid-spring, late summer and late fall. 1What is PLANTBLAST® Growth Formula? 2What is PLANTBLAST’s composition / What does it contain? The N-P-K is 5-6-5 with added organics; feathermeal and bonemeal along with many trace elements for the best of both organic and inorganic fertilizer mix. Quick precise release for fast root & plant development with slow release elements for extended feeding. 3Can PLANTBLAST® be used on all plants? 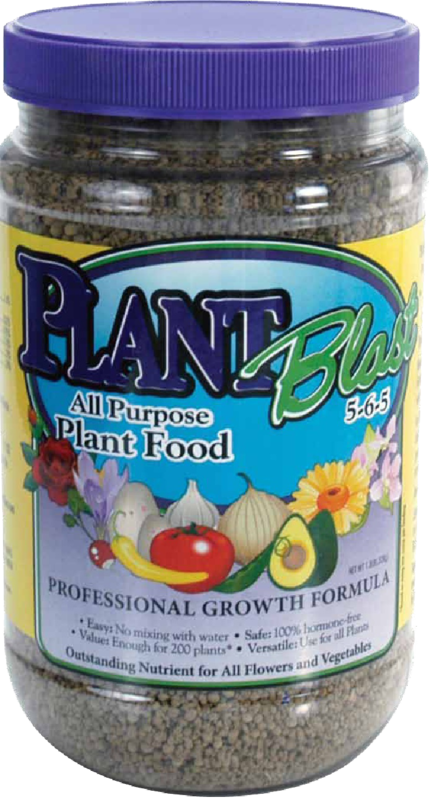 Yes, PLANTBLAST can be used on all flowers and vegetable varieties along with other perennial plants. 4How do you apply PLANTBLAST®? 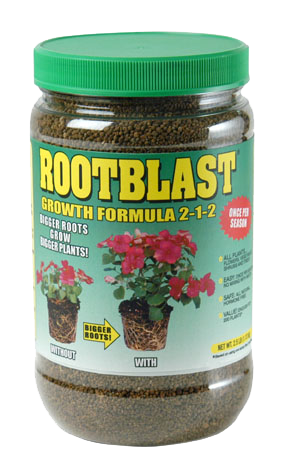 For best results use ROOTBLAST when transplanting new plants into ground or container and then follow-up with PLANBLAST two weeks later. Applying every 2 to 4 weeks as needed by sprinkling one scoop (one teaspoon) per 12 inches of drip line. Gently work into the soil and water thoroughly. 5Do I mix with water? No mixing with water is necessary. Some customers do with good success but note there is some residue if using a special sprayer or grow box. 6How often do you apply PLANTBLAST®? Every two to four weeks as plant needs – container plants may do better every two to three if watered daily and has good drainage. Ground plants that can get nutrients from the soil may only need every three to four weeks. Watch the plant and determine what works best with your growing conditions. 1What is TOMATOBLAST® Growth Formula? 2What is TOMATOBLAST’s composition / What does it contain? The N-P-K is 5-6-8 with added organics; feathermeal and bonemeal along with many trace elements for the best of both organic and inorganic fertilizer mix. Quick precise release for fast root & plant development with slow release elements for extended feeding. The added calcium, magnesium and potassium help fight against blossom end rot! 3Can TOMATOBLAST® be used on all plants? Yes, TOMATOBLAST can be used on all tomato and vegetable varieties along with flowers and other perennial plants. 4How do you apply TOMATOBLAST®? 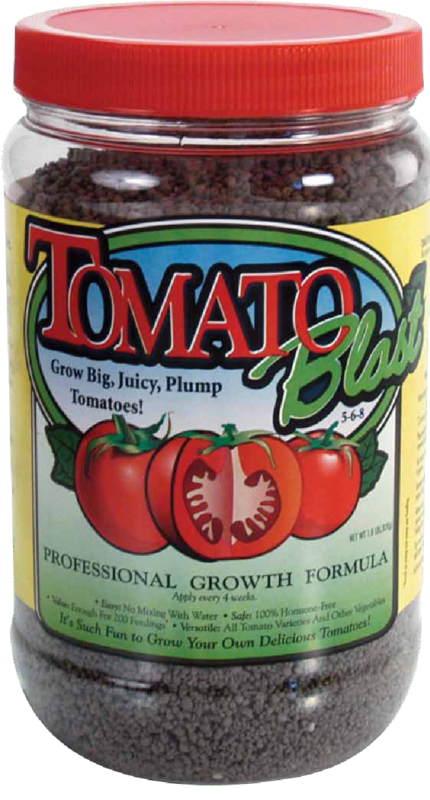 For best results use ROOTBLAST when transplanting new plants into ground or container and then follow-up with TOMATOBLAST two weeks later. Applying every 2 to 4 weeks as needed by sprinkling one scoop (one teaspoon) per 12 inches of drip line. Gently work into the soil and water thoroughly. 6How often do you apply TOMATOBLAST®?